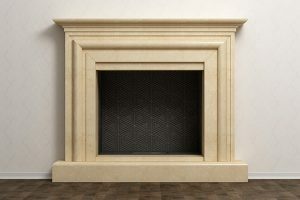 A fireplace is one of the most useful features in a house, but many people don’t know how to actually use it. Even though it’s one of the most sought out items by home-buyers, it requires a little bit of know-how to be able to fully use and maintain it. 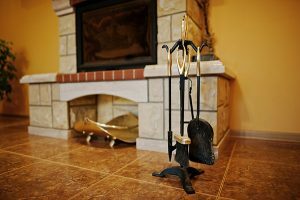 If you’re not sure how to fully make use of your fireplace, read on to find out about chimney sweeps, creosote, the flue, the damper, and more. By knowing which firewood works best and how to build a fire, you’re sure to maintain a clean and safe fireplace for a long time. Each year before winter starts, you should get your chimney swept. 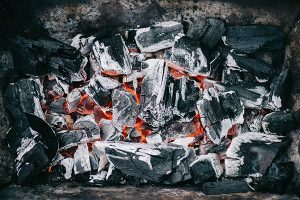 Rather than going with a technician who may not be reputable, find out how many years of experience they have in chimney sweeping. Getting someone who doesn’t have the right experience may cause more problems than not getting it swept at all. If you want to build a nice, warm fire, you will need to have your chimney swept well; this also helps to keep your home safe and clear of dangerous fumes. A chimney sweep also aims to remove any possible blockages that may result from animal nests, leaves that collect during storms, and general natural occurrences that result from changes in the seasons. One of the main reasons why a chimney sweep is so important is because it removes creosote, which will quickly build up and cause a headache to any homeowner. Creosote is a sticky tar-like substance that results from organic material such as wood burning. Some creosote is normal, but if left to accumulate, it can cause major problems. Part of making a strong fire in a safe and secure way is remembering to keep the damper open. The damper is a flap that is usually found in the flue; it is often made from a ceramic or metallic material. It’s most often a chain, flap or a latch that opens up. The damper must be opened up before you start the fire. Otherwise, smoke may fill the home and cause damage to the point that a professional has to come out to the house. When you’re done with your fire, you can shut the damper again and cold air will not repeatedly come into the home. Every time the damper is opened, the air from the outside will start to come into the flue and down the chimney. Since warm air rises, that warm air will start to rise as well and the cold air from the outside will come down into the home. If you make the mistake of trying to light your fire while this is happening, a ton of smoke will start coming into your home. This is why people warm the flue up or prime it by taking a piece of paper, such as a rolled up newspaper, and holding it right by the damper. Doing this for a few minutes will allow you to prep the flue and get the air exchange process rolling. You should be able to feel the cold air going down and you’ll know that it’s ready. A novice user of the fireplace may think that you can go out and cut a bunch of wood and then put it right into your fire. However, you actually need to find very dry wood in order for it to work. If you use new or recently chopped wood, it may be somewhat damp, which will not help build a strong fire. The fire will continually go out. The best type of firewood is seasoned firewood which is any type that has been cut and dried out. It’s best to have wood that was cut at least a year ago and left to dry in a safe place. If you can cut the wood for the next year to allow for months of drying out, that’s the best possible option. To help dry out the wood, put it in a place where it will be protected from all of the elements. If you leave the pile outside, you risk having precipitation covering it and ruining the process of it getting dried out. However, if you keep your wood in an indoor area, you’ll want to spray for bugs since the wood will attract them. For people who live in the Northeast part of the United States, hard maple is a great choice for wood since it burns for so long. Also, birch is a great choice because it looks so beautiful in the fireplace. The only problem is that it burns very fast. Those in this area would also do well-choosing oak since it’ll burn for a long time provided it has a lot of time to dry out. You should first start out with big logs that go on the bottom of the pile, with small logs then going on top of the big ones. Kindling sticks then go all around with newspaper on top of that. By building together these different sized pieces of wood, you’re sure to have a fire that burns for a much longer time. 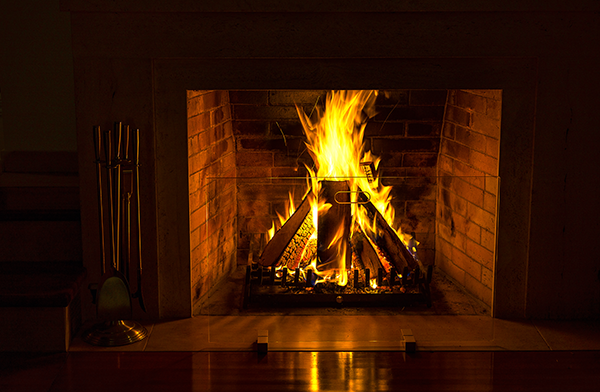 Taking care of your fireplace should not be a difficult task. Being mindful to not let creosote accumulate and cleaning out any blockages will help to keep your home safe. Keeping the damper and flue open and using the right firewood are all just as important. 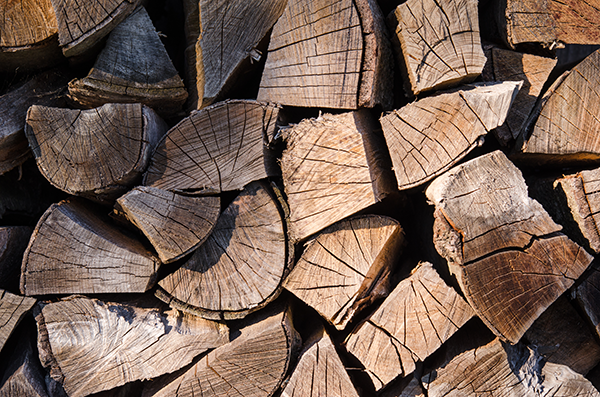 Plan ahead to get seasoned firewood so that damp wood doesn’t cause your fire to constantly go out. 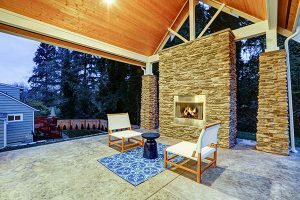 With the exception of a chimney sweep, the procedures for making great fires and taking care of your fireplace doesn’t cost a ton of money. They simply require a bit of forethought and care. Knowing how to use a fireplace is a needed skill to have for anyone who has one in their home. Too often, people think that they know how to start a fire, only to have their fire die out too quickly, or worse, they experience a smoky house. 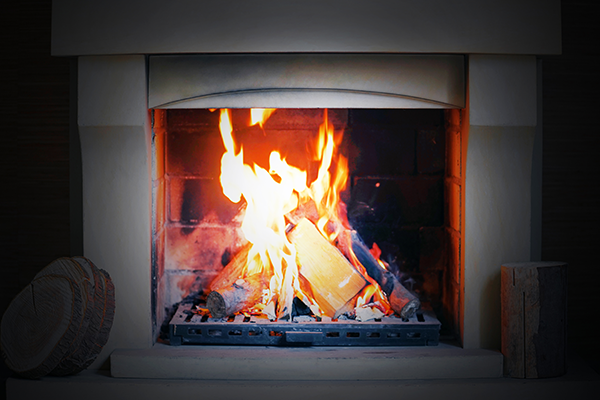 Remember to open the damper, get your chimney swept on a semi-regular basis, and use the right wood to build the perfect fire. Get a free quote today.